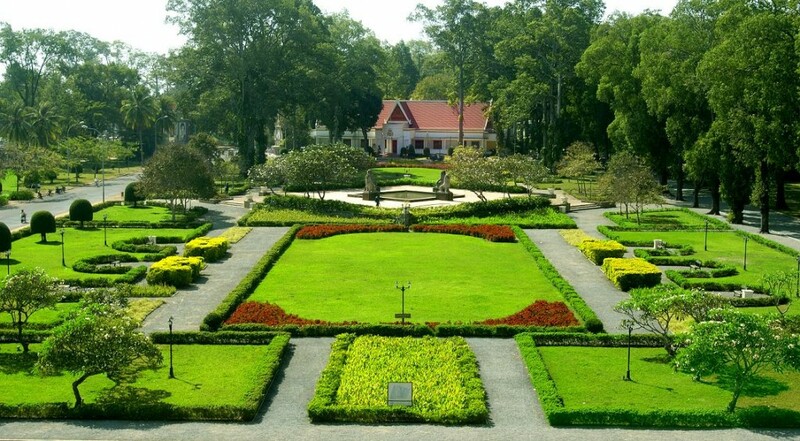 The garden in front of Raffles Grand Hotel d’Angkor in Siem Reap, Cambodia. Photo courtesy of Kiwi Collection. This entry was posted in Garden and tagged Asia, Cambodia, garden, photography, plantings. Bookmark the permalink. Love an old-fashioned formal garden so much. Would create one, here, but we are so rural, I think it would be out of place. Also, our house is one story.